Free range parenting is back in the news as the results of a case involving Silver Spring, Maryland parents, who were charged with child neglect after allowing their children, 6 and 10, to walk home by themselves, were announced. Free range parenting is a movement and parenting philosophy in which parents give their children more freedom and independence in order to teach them self-reliance and responsibility. It relies on the idea of allowing the child to explore the world at more of their own pace. It is a counterpoint to the helicopter parenting philosophy, in which parents pay extremely close attention to their child’s actions, experiences, and problems. Free range parenting is said to have started in 2008 when a New York journalist published an article titled, “Why I Let My 9-Year-Old Ride the Subway Alone.” The movement has inspired other parents to let go of the belief that their children are in constant danger. The Maryland couple, Danielle and Alexander Meitiv are proponents of free range parenting. In December, they gave their children, ages 10 and 6, permission to walk home alone from a park on a Saturday afternoon. Their journey was a one-mile stretch in a neighborhood they knew well. The children only made it less than halfway before being picked up by local law enforcement and driven home. Shortly after the children were driven home, Child Protective Services showed up at the Meitivs’ home and began their investigation. The Meitiv’s hoped the investigation would quickly be dropped, but it wasn’t. The investigation when on for two months and included multiple conversations with the Meitiv’s, interviews with the children at their school, and requests to visit the family’s home. The Meitiv’s were surprised at the intensity of the investigation and even more surprised by it’s findings. In early March, CPS found the parents responsible for “unsubstantiated” child neglect. As a result of the findings, CPS will continue to keep a file on the family for at least five years. The Meitiv’s plan to file an appeal and fight the findings. While the protection considerations of free range and helicopter parenting styles are debatable, one thing is certain — every parenting philosophy will have some component of protection in their plan. 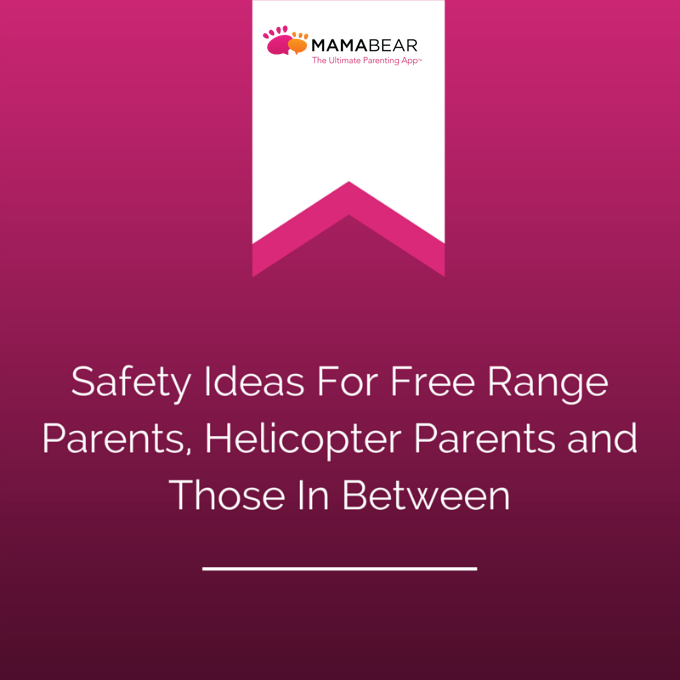 Every parent will need to explore options for their safety plans for their children and discover what level of involvement works best for them. So we suggest using tools that allow for varying levels of protection, and allow parents to incorporate their own parenting style in both real life and their children and family’s online life. MamaBear®, The Ultimate Parenting App™ is an excellent tool for parents embracing any parenting style, as you can use it to protect your children and connect your family in any situation. Whichever way you choose to parent and use the MamaBear family safety app, you can be sure that it is building a foundation for trust and security that will benefit both parent and child. See how MamaBear, The Ultimate Parenting App™ available for iPhones and Androids can help you offer independence, protection, and connection.